BVP CET MBBS 2016 – Bharati Vidyapeeth Deemed University (BVDU) has emerged as a global university with a wide offering of programs and courses spanning varied educational faculties. BVDU today boasts of a state-of-the-art infrastructure, sprawling campuses, extensive teaching and learning facilities, library and research facilities. It aims to make available quality education in different areas of knowledge to the students as per their choice and inclination, to offer education to the students in a conducive ambiance created by enriched infrastructure and academic facilities in its campuses and to bring education within the reach of rural, tribal and girl students by providing them substantive fee concessions and subsidized hostel and mess facilities.The MBBS programs, however, aims to create the learned doctors in a specialized field to cater to the need of expert health solutions for a future healthy India. The duration of the course is four and a half years. There is one common Application Form for BVP CET and so, MBBS applicants need not apply in a separate Form. The application can be done online as well as offline. Please find the online Application Form at the website of BVP. It must be filled with authentic details. The Application Fee is INR 2,000/-. It may be paid through a Demand Draft in favour of “The Registrar, Bharati Vidyapeeth Deemed University”, payable at Pune. it should be addressed to Bharati Vidyapeeth Deemed University, C.E.T. online Department 2nd Floor, Bharati VidyapeethBhavan, LalBahadurShastri Marg, Pune 411 030. If the money transfer has to be done online, one may convey it through Credit / Debit Card or Net Banking. 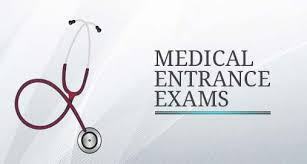 For admission in the MBBS course, the applicant must have passed his/her 12th grade (or any equivalent examination) with a minimum of 50% aggregate. The subjects studied must have been Physics, Chemistry, Biology or Biotechnology and English. The applicant must have also secured a minimum of 50% in Physics, Chemistry and Biology combined at CET. The same applies for the privileged applicants, who require to score 40%. S/he must be 17 years old to apply. The MBBS course under BVDU has a total of 300 seats, 150 at Pune and another 150 at Sangli. The examination will be of 3 hours and comprise of 200 questions. There will be 50 questions each on Physics and Chemistry. The rest 100 questions will be asked on Biology. There are no negative markings.